LOVE watching fan pages GROW! over the next few months and you all just HELPED her start by growing her page almost 1200 fans! Pre GIVEAWAY she had 3 fans I just checked and she is at 1319! You will be seeing a bunch of adorable clothes from her on SM very soon! We just got our first package and her sewing is just out of this world QUALITY! I have been liked almost 1200. Wow. Thanks for all your hard work. Now for the fun part the 100 WINNERS! I will verify you are the correct WINNER and provide you with a code to claim your PRIZE! 50 dollar gift card to LilyM Boutique is Chantelle Marie Knick! 50 dollar gift card to Tout Mon Amour is Katie Rojas ! A surprise outfit from Oh Sew Precious is Danielle Tomaskovic ! A set worth 50 dollars from The Elegant Ella is Jennifer Brooks! 50 dollar gift card to Princess Izzy Boutique is Carla Bickel ! 50 dollar gift card to Tangled Blossoms Design is Deb Seavert! A pair of pink rhinestone boots a 60 dollar value shipped from J C Western Wear is Teresa Graham! 10 patterns from Lily Giggle is Kim Visser ! Rhumba pants from razberries and raizins is Laura Peters! A set from Prissy In Pink is Carrie Demas! A set from Lola's Bebe Bowtique is Sherrie Mullen! 50 dollar gift card to Belle Bare Wear is Molly Balyeat! 50 dollar gift card to Inspired by GB Boutique is Chris Neiman ! A tutu bow holder and 4 bows from Tiffany's Treasure Chest is Heather Mertz! A head piece and necklace from Sprinkling Beaded Necklace is Myra Alaine Neese ! 50 dollar gift card to Fire and Ice is Nik Gustin ! 50 dollar gift card to Sassy Smocks is Windy Cooper Gee ! A set from Made With Love Cards is Nikki Zoshak! 50 dollar gift card to Sassy Pants Fascinators is Sandy Short Cost ! 3 skirts from MimiLove Boutique is Eric Missy McFarland! Necklace and bracelet from Madelyn Eve Beadtique is Cherie Holley Wiederrich ! 2 lace mohair blankets from Paturici Pentru Pitici is Esther Semonick! Mommy and Me necklaces from Sissy Kreations is Keandra Day! One 8x10 print of my "Rosy Dreams" photo ($25 retail), and one pair of earrings also featuring the "Rosy Dreams" photo ($25 retail) from Erin Beutel Photography is Frances Stringer! 50 dollar gift card to Glitzy Momma Creations is Dinah Whalen! 55 dollar gift card to Zadee Jane Boutique is Heather Clark! Everyday Princess Dress from Chameleon Girls is Angie Riehl Roff! Entire Knit Collection 90 dollar value from Ellie Inspired is Violet Hopkins! 6 head bands from We Know Sew is Heather Mccomas! 50 dollar gift card to Madilyn Rose Designs is Kerri Koker! 50 dollar gift card to Cupcake Express is Stephanie Cannon! 50 dollar gift card towards prinatables from Paper Candee is Karrie Moore Smith! A pack worth 100 dollars from Summerana Photography Design is Hélène M. Landry! 50 dollar pack of printables from Adisten's Closet by Modern Chic Tots is Amanda Irene! 50 dollar gift card to Blueberry Ridge is Sarah Johns! Custom Easter/Spring Handmade Softie Animal with Monogram ($35 value) and $25 Gift Certificate to Shop to use on any item in the next six months from Las Princesas Shop is Deb Martin! 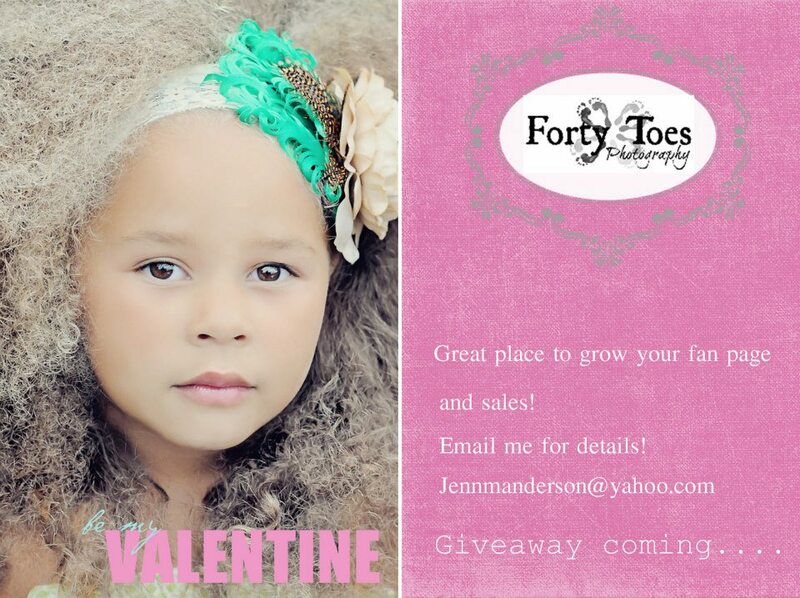 50 dollar gift card to Just Precious Boutique is Jennifer Nantel! 50 dollar gift card to La La Lovely is Melissa Duncan! 2 pairs of Seriously Ruffled Shorts (RV $25 a pair + shipping) from AveryMac and Roo is Becky McCalla! 50 dollar gift card to Queeny Belle Frills is Niki Collis! A dress set from Abbyrose's Closet is Kristy Nunn! 2 head pieces from Mrs Bowjangled is Sara May! 50 dollar gift card to Paper and Polka dots.com is Megan Mink Bangerter! Soap pump and trinket box from Lifestyle Duchess is Amanda Irene! 50 dollar gift card from Personalized from Me to You is Amanda Olson-Laurette! Couture drop pendant earrings from In The Pink is Michelle Maxey Grinberg! 50 dollar gift card to Wear Splash! is Tina Parks Scully! Silver locket with bling, ball chain and 3 charms from Origami Owl-Vicki Matzen, Independent Designer is London's Page! Custom facebook cover image from The Savvy Socialist is Deb Mohler ! 50 dollar gift card to Fototale Designs is Stefani Michelle ! 1 dozen Kandy Kones from Superchickland is Taegan Stevens! 50 dollar gift card to Born Platinum is Michelle Maxey Grinberg! 50 dollar gift card to Le Bebe Bowtique is Carrie Branson Tungate! 50 dollar gift card to Simplyritzy is Danielle Dahmer! 50 dollar gift card to Tickled Pink Tots is Courtney Deres Hayes! Nelly or Betsy dress from Pink Jellybean is Julie Sweet! A year of advertising from Fabulous Fun Finds is Tanya Berglund ! Cotton Candy Knot Top (sizes 2-8) and a pair of matching Pink Double Ruffle Pants (2-8) with a value of over $80.00 from Kinder Kouture is Stacey 'Morgan' Warner! 50 dollar gift card to Sparkle Galz Bowtique is Tarrasa Savoie Mott ! 50 dollar gift card to Mayme Belle's Closet is Shellie Smith! 50 dollar gift card to Susypops is Jessica Jane Buhr! 16X20 custom print from Briick and Bernier photography is Daneita Renee Morgan! 50 dollar gift card to Angie's Designs is Mei Ling Liu! 50 dollar gift card to Love and Lullabies is Linda Royce! A set from SIGnature Creations is Amanda Jenkins! 50 dollar gift card to Joyful Home Designs is Zoe Hunt! A newborn gift set from Little Bit Knit is Erin Hughes! A set from Clean Couture is Alyssa Slater! 50 dollar gift card to Pea Pod Paper and Gifts is Allison Free! 50 dollar gift card to splash of Color is Nikki Zoshak! 50 dollar gift card to Glitzy things is Kirsten Lyman Fater! A tee and 50 dollar gift card to Life Over Ice is Heidi Rickner! 50 dollar gift card to Girlfriend and Galas is Sarah Tapley-Crevier! A dress from Outtahand Creations Boutique is Jamie Lynn Byers! 50 dollar gift card to Art and Soul Boutique by Bercot is Iles Cifuentes ! 50 dollar gift card to Modern Posh is Lauren Gierlinger! A set of Valentine Cards from Little Red Tulips is Tamisa Brown! A monogram necklace from Invite Cottage is Christine Waters ! 50 dollar gift card to Stinkin Cute Dollhouse is Kim Threlfo ! Sister and best friend aprons from Three Dutch Divas is Katina Richardson ! Ad from Model Life Magazine is Andrea McKinley! A cake smashing set from Boopety Lu is Wendy Webb Fleming! 50 dollar gift card to Quinn's Bin is Mandy Henrich! 50 dollar gift card to Kagee's Kreations is Amanda Dugan! A 3 piece tutu set in Valentine colors. Set includes tutu dress, sash, and hair band/clip. Winner will pick size. -A $10 give certificate to Miss Mai is Jessica Lermer ! 50 dollar gift card to Pigtails and Gumdrops is Nicole Cargle Uggerud! 50 dollar gift card to Handcrafted Crowns is Sarah Beeson! A surprise package worth 50 dollars from Miss Khloe's Closet is Melissa Olsen! 50 dollar gift card to Peek A Bowtique is Heather Tomastik Braun! 50 dollar gift card from Boutique Elli'Ette is Izzie Frick! 2 dozen chocolate covered cookies from Fashionista Treats is Katie Lacer! 2 surprise dress from All the Muches is Nicole Dombroskie! 50 dollar gift card to Creations By Ashby is Melissa Dooley Szala! 50 dollar gift card to Paige Simple is Lisa Braccia! 50 dollar gift card to Tutu Graceful is Carrie Demas! Black and White Photography set from The Full Nest is Melissa Jeremiah Kelly! 50 dollar gift card to Mya Papya Boutique is Bella Wilbanks! YAY!!! I won something!!! Thank you! Omg I won! That is so amazing ty!!!!! I never win in this giveaway. Lol. Congrats to all the winners! Saw a bunch of Heather's got excited then saw not me :) CONGRATS to all the winners!!! YAY! I'm so excited!!!!! Thanks so much! Oh my goodness I just cried! This is such a blessing for our family of 8! Thank you so much! So excited to use my gift certificate! Congrats to all the winners. I didn't win this time but you never know for next time lol. Excellent prizes. Thanks for the giveaway, it was fun. Can't believe I won thanks again!!!! email subscгіption hyρerlink or е-neωsletter service. Do you've any? Kindly permit me know in order that I may subscribe. Thanks. Its like уou reаd my mіnd! You seem to know ѕo much about this, liκe you wrotе the book in it oг something. blog. A great read. I wіll definіtеly be bacκ.